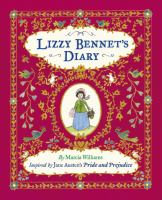 Lizzy Bennet’s Diary by Marcia Williams is a delightful retelling of the Austen story for juvenile readers. In addition to diary entries in Elizabeth Bennet’s voice, it uses bits of ephemera (invitations, postcards, telegrams) to enhance the feeling of looking at somebody’s diary. Eligible by Curtis Sittenfeld is a thoroughly contemporary version of Pride and Prejudice. Set in Cincinnati, Ohio, it is a fun read that juxtaposes modern elements (Crossfit gyms and dot-com millionaires) with a familiar plot. It’s done cleverly – it took me several chapters to match up Eligible characters with their Austen counterparts. The final knock-off is a great graphic novel version titled Pride & Prejudice. If you’ve never looked at graphic novels, this is a good one to try out. It is a faithful version of the Jane Austen novel reworked by Nancy Butler with dialogue boxes and illustration. And, if you know somebody who has been assigned to read the novel but can’t get through it, this version is a worthwhile substitute. Another option for you might be Pemberley Ranch by Jack Caldwell, in which Beth Bennet moves from Meryton, Ohio to Rosings, Texas.